Listen to a clinical encounter about back pain in Spanish. You will hear Mr Sanchez present to the doctor for pain in his back after lifting heavy boxes. You can read along as you listen with the transcript provided below. Subscribe to the premium audio lessons at docmolly.com. In the premium series: 1) The doctor examines Mr. Sanchez and explains the treatment plan. 2) We review the key vocabulary and grammar. 3) We go through the entire clinical encounter, providing pauses for you to play the role of the interpreter. Sign up for a free membership and try out the latest premium lessons for free. 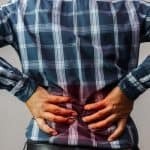 This was a excellent informative post you have shared on this page about the back pain spanish dialogue interpreter there is a legitimate need for spine surgery and fusion, says Dr. Charles Burton, medical director for The Center for Restorative Spine Surgery in St. Paul, Minn. “But the concern is that it’s gotten way beyond what is reasonable or necessary. There are some areas of the country where the rate of spine surgery is three or four times the national average.